The chairperson of the city’s Local Council on Women (LCW) underscored the role of men in advancing the anti-Violence Against Women (VAW) advocacy in the community. LCW Chair Rosalinda Abellon said men should always respect women and girls in their homes, workplace, and in the community and also join groups that promote anti-VAW efforts and participate in discussions to further raise awareness on this advocacy. “Iba man gyud sa grupo pod sa mga lalaki nga advocates. Sila pod ang mokumbinsir sa kalalakin-an to fight against VAW. Morag nindot pod na naay impact. (I think it will be different if there is a group of male advocates. They will convince others to fight against VAW. It think it is good and it has an impact),” Abellon disclosed in a recent Kapihan Forum in this city. Abellon believes this is an effective strategy because most of the perpetrators of VAW are men and these advocacy groups can give enlighten them, give them advice and also encourage them to be actively involved in movements that call for the prevention of VAW. Apart describing the role of men in eliminating VAW, Abellon also emphasized that the community, the government, and the private sector have important roles to play to achieve this goal. More importantly, women should be empowered and must be aware of the laws that protect their rights so that they cannot be victims of abuse and violence. “Empower yourself. Know your rights and available courses of action in case these rights are violated. Speak out and report to the authorities in case your rights are violated. We encourage others to fight for their rights,” Abellon stressed. The LCW official once again raised the call to end VAW as the City Government of Dumaguete joined the entire nation in celebrating the 18-Day Campaign to End VAW observed every 25th of November to the 12th of December of every year. The celebration was anchored on theme VAW-Free Community Starts with Me which reflects national government’s vision to end VAW in communities and stressed the role of each individual in combating VAW. City Councilor Lilani Ramon cited that the observance of the 18-Day campaign in the city focused on the primary prevention to reduce if not to eliminate the incidence of VAW in the city. To mark the observance of the 18-Day Campaign to End VAW in the city, the City Social Welfare and Development Office (CSWDO) organized a symposium on this year’s theme as the topic of discussion last Dec. 7 at the City Session Hall which was attended by VAW desk officers in the barangays, members of the LCW, members of the Kalipunan ng Liping Pilipina (KALIPI) in Dumaguete City as part of the activities in line with this year’s observance of the 18-Day Campaign to End VAW. Aside from this, the City Health Office also conducted on the same day a HIV/AIDs Awareness Activity at the Pantawan Area of the Rizal Boulevard attended by KALIPI members. A non-stock, non-profit theatre company in Dumaguete City is helping enrich local the culture and arts scene by bringing the musical “Song of Solomon” to Dumagueteños. The “Song of Solomon” is based from one of the books in the Old Testament. It highlights highlights Solomon’s romantic love for an intelligent vineyard girl from Shulam named Almah. However, his bestfriend and chief adviser Benjamin is set on marrying him to foreign princesses to gain land, wealth, and alliances. He also saw Almah as an obstacle to his objectives. Because of these circumstances, Solomon had to make a decision that would determine who he is and his plans for Israel. Dumaguete Theater Company (DTC), a newly-established volunteer organisation of theatre enthusiasts in the city, is the lead producer of the musical which was shown at the Luce Auditorium, Silliman University from November 15 to 18. The musical features an ensemble of the country’s top theatre artists for its cast. The actors who are part of the main cast are David Ezra who plays the titular role of Solomon, Yannah Laurel, Menchu Lauchengco, Jep Go, Giob Rodriguez, Jack Repollo, and Sapphire Dela Peña. They are also joined by other talents from Dumaguete City, Bacolod, Iloilo, Cebu, and Dipolog. The musical is directed by Jaime Del Mundo while the other members of the creative team include composer Andrew Bealle, musical director Daphne Jocson, choreographer Miguel Braganza, and scenographer Mio Infante. DTC is proud to present the musical to the Dumagueteños in partnership with the Silliman University Culture and the Arts Council and a local hotel resort. DTC President Atty. Jose Riodil Montebon believes that the staging of “Song of Solomon” in Dumaguete City is very significant as the city strives to become a destination for cultural tourism. 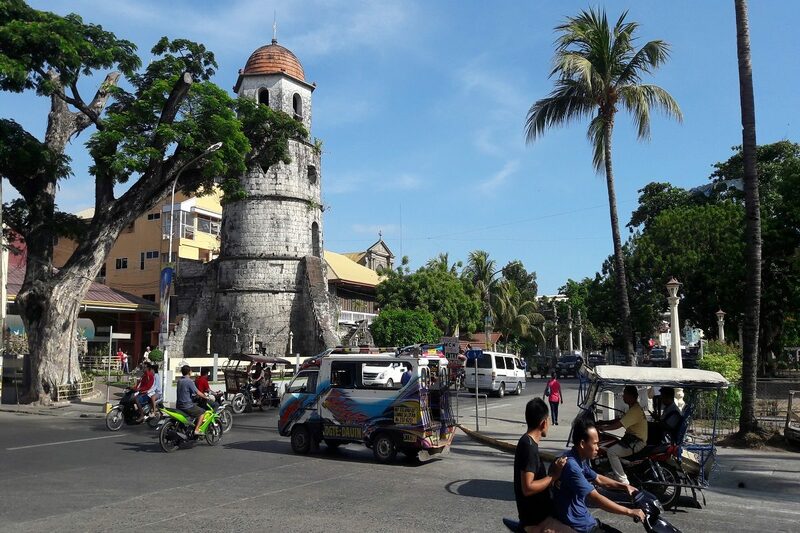 “It’s significant in a sense that by launching the “Song of Solomon” at the Luce Auditorium, we also enhance the reputation of Dumaguete City as a cultural tourist destination,” Montebon said. “Presenting the “Song of Solomon” in the theatre as a medium, makes it a new and exciting adventure for Dumagueteños,” he added. Montebon hopes that the staging of “Song of Solomon” will generate more advocacy and healthy appreciation for the theater. “Helping teach our community, our people that going to the theater is a way of continuing education: education about the arts, education about the culture, and education about life,” Montebon remarked. This is the first time DTC is sponsoring a huge theater production but although they are a new organization, its president shares the group has big aspirations in helping develop the local theater industry. “We have big dreams. We have big plans. We really would like to develop local artists and hopefully and eventually use local material,” Montebon said.